Unfortunately for fans of cult-classic films, the stars of said films can't stay immortalized as their infamous fictional counterparts forever. 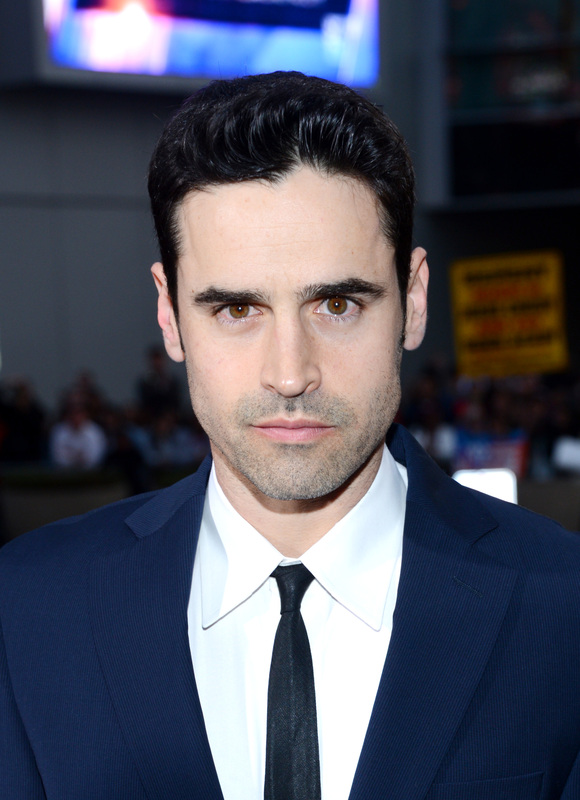 Fortunately for Bring It On fans, Jesse Bradford — many know him as his alter-ego Cliff Pantone — has only gotten better with age. Now a dashing 35-year-old actor, Bradford has moved on from his days spent surrounded by cheerleaders to more "adult" roles. Bustle had the chance to speak with Bradford about his new TV series Sequestered, an intense thriller which follows jury members shut away in a hotel as they deliberate a high-profile kidnapping-murder case. Yeah, Bradford definitely isn't in high school anymore. "I sat and watched the first three episodes, and I actually found it really engaging... and I’m super critical," says Bradford. "I’m the first to go, 'I don’t like this.' And I felt really pleasant about how the show was kicking off in the first three episodes." Bradford stars in Crackle's original series as Danny Firmin, a young attorney who uncovers a major conspiracy while defending the alleged murderer of a state governor's 8-year-old son. While Firmin works to figure out the missing pieces, a sequestered juror, Anna (played by Terminator: The Sarah Connor Chronicles star Summer Glau) must choose between her morals and the safety of her family. And although the show is filled with an abundant number of colorful characters, it's mostly a plot-driven series. "It’s like the case is the thing that’s going to bring you back, but the people are the conduit to that thing, and the way the people care about the case is hopefully what’s going to make [the audience] care about the case," explains Bradford. Apart from being a mostly story-driven series in a time when many TV dramas are character-driven, Sequestered also stands out due to its unusual running-time: 22 minutes. For a comedy, 22 minutes is average, but for a drama, well, that's a lot of twists and turns to coherently fit into an episode. However, for Bradford, he sees no issue with the show's format. "I’m always rooting for things to be shorter, entertainment wise," says Bradford. "I feel like we’ve entered this era where you’re not allowed to make a movie unless it’s two-and-a-half hours long, and I think that’s an hour too long for most stories. [Sequestered] ends up being a half hour of your time, or a little less than that, and I think that as a guy that is maybe hoping to write my own material one of these days, I love the 30-minute format. I think it’s fantastic. And it is harder to squeeze drama into that, then it is comedy, but I think we’re pulling it off." One piece of work we're hoping Bradford will write? A Bring It On sequel starring the original cast. And according to the actor-maybe-one-day-writer, our hopes aren't too unrealistic. "I had a fun moment with the director [Peyton Reed] of Bring It On," says Bradford. "We run into each other every once and while. And we had a moment where we were talking about that, and he said he always thought it would be funny to pick a really, really dark sequel to Bring It On where we’re all pathetic adults now that have failed at life. I thought that was such a great idea." And would he be interested in starring in it? "The short answer is, yeah, I’d do a Bring It On," says Bradford. "I’d certainly read it and be very interested in it." The first six episodes of Sequestered are currently available on Crackle. The remaining six episodes will debut on Oct. 14.